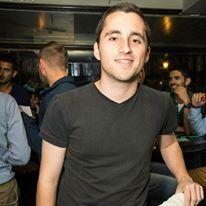 My guest this week is 23 year old Israeli IM Asaf Givon. In addition to being a 2480 FIDE rated player, Asaf is a YouTube streamer and highly regarded chess instructor. In our conversation, Asaf gave a lot of advice on how listeners can improve their own chess games. We also touched on the ongoing FIDE Candidates tournament, talked about the storylines emerging from it, and the likely opponents of Magnus Carlsen in the next World Championship match. Asaf also gave some perspective on chess in Israel and assessed the opportunities for a chess professional there. Lastly, Asaf told a great story about the experience of playing and analyzing with GM Michael Adams. Asaf can be reached via his Youtube channel as well as through lichess and chess.com.